Providing Monroe County with the Most Reliable, Sophisticated State-of-the-Art Communication System Available. 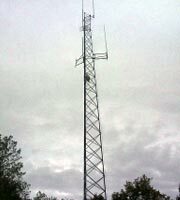 Public Safety Communications is responsible for the planning, operation, and maintenance of radio and microwave communication systems used by all Monroe County departments, the City of Rochester, all municipal law enforcement agencies and some fire protection and emergency medical services of the County. The facility is located in the City of Rochester at the top of Cobbs Hill. Public Safety Communications is dedicated to providing the highest quality of professional service and support for governmental users of communication systems. They provide installations, repairs, licensing, planning, system design and 24-hour emergency service of the radio systems employed by all police agencies, the 9-1-1 Center, fire and emergency medical services and other governmental agencies throughout Monroe County. Technicians respond to calls for service to mobile radios, transmitters, receivers, 911 radio dispatch consoles and microwave links. Public Safety Communications services more than 700 police mobile radios and more than 1,800 police portable radios and operate a county wide paging system. The staff is also responsible for the maintenance of 63 remote communication sites at locations such as the Greater Rochester International Airport Communications Center, the Monroe County Emergency Operations Center and all city and county Parks. The 900 MHz digital paging system replacee the current 450 MHz digital paging system that is obsolete. The system is a communications necessity for public safety officials and other municipal officials. The new two-way is being tested. The user device, 1501 Responder pager, is available and can be ordered by contacting Radio Center at 428-5146. The current and latest version of the Firmware is Version 1.20 Build 18. Law Enforcement Voice System - The UHF law enforcement voice communications system [Ultra High Frequency band ranges from 460.000-470.000 MHz] was replaced on January 10, 2010 with a digital, FCC compliant, “narrow band” system to create additional frequencies for public safety agencies. Police vehicle laptops now use modems with aircards, but the original system still supports the fire station house MDT units. The current radio system used by the fire and emergency medical services uses radio frequencies in the VHF band [Very High Frequency ranges from 138.000-174.000 MHz]. Most frequencies used in Monroe County are in the 153-155 MHz range. Like the UHF frequencies, FCC requires “narrow-banding”. This change means moving to a 12.5 MHz split between the next closest frequency. Many current radios used by the services (both mobile and portable) are not manufactured to the new 12.5 “narrow-band” standard and therefore will not accept the new frequencies. Special operational frequencies are available for mobile and portable use. Agencies must obtain a FCC license to operate on a base station. Also, see Frequency Typing Matrix. Narrow banding is the reducing of the allowable spectrum to transmit on a given frequency, reducing it by half the path allowed today. An 800 MHz-Trunked radio system is a computer time-managed radio system designed for optimum spectrual efficiency. According to SAFECOM: Interoperability refers to the ability of emergency responders to work seamlessly with other systems or products without any special effort. Wireless communications interoperability specifically refers to the ability of emergency response officials to share information via voice and data signals on demand, in real time, when needed, and as authorized. For example, when communications systems are interoperable, police and firefighters responding to a routine incident can talk to each other to coordinate efforts. Communications interoperability also makes it possible for emergency response agencies responding to catastrophic accidents or disasters to work effectively together. Finally, it allows emergency response personnel to maximize resources in planning for major predictable events such as the Super Bowl or an inauguration, or for disaster relief and recovery efforts. Monroe County has recieved a Public Safety Interoperable Communications (PSIC) grant to provide equipment to regionally link the five surrounding counties, NYS Emergency Management Office and New York State Police with Monroe County and each other. Monroe County has also been awarded the Interoperable Emergency Communications Program Grant whose priorities are: common planning and operational protocols and enhancing emergency responder skills/capabilities through training and exercises. This will also compliment the PSIC (equipment) grant by strengthening the regional interoperable communications by developing and testing operational protocols via exercises. It will also allow for development of a field operations guide, frequency coordination and various feasibility and structural studies. This grant will also allow for development and testing of the NYS-required Tactical Interoperational Communications (TIC) plan in accordance with the Statewide Communications Interoperability Plan (SCIP).